Addie Kaler-Vaill was born in 1878 to a well-known Scarborough family. She devoted her life to family and the community. Addie was involved with the public library, and she also served on the committee that erected the Soldiers Monument in Dunstan. She was chosen to unveil the statue before the largest crowd ever assembled in Scarborough. 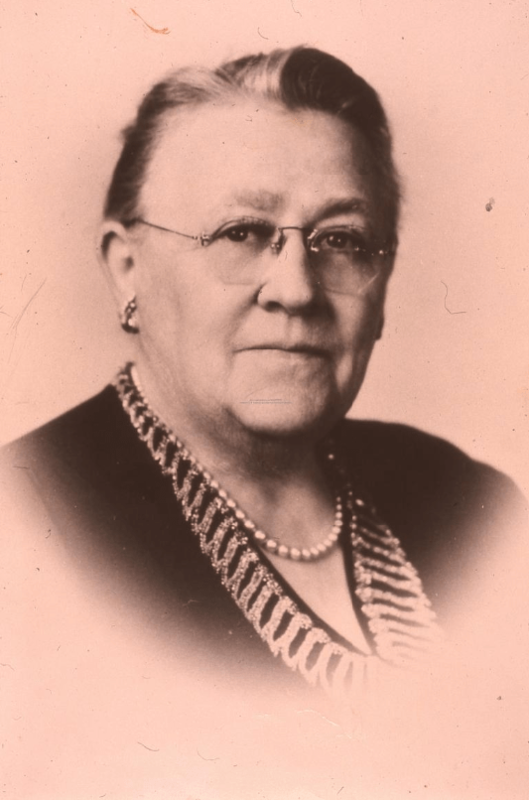 In 1936, she financed the tomb at Black Point Cemetery and established a trust fund to provide perpetual care for the entire cemetery. She also made generous contributions to the Black Point Congregational Church. Her greatest legacy was the establishment of a home for up to fifteen women residents that she and her husband, Edward Vaill, a prominent Portland businessman, had envisioned and planned. After her death in 1957 at the age of 79, her residence at 382 Black Point Road was expanded and the Kaler Vaill Memorial Home for Women was opened in 1960. Laughton, Rodney. Scarborough in the Twentieth Century . Portsmouth, NH:Arcadia Publishing, 2004. This entry was posted in Black Point, People, People who Call Scarborough Home and tagged Addie Kaler Vaill, Edward Vaill. Bookmark the permalink.